A limited liability partnership (LLP) is the preferred legal structure for many businesses in South Florida. It is a legal entity that allows business partners to put some limits on their personal liability. Here, our top-rated West Palm Beach partnership law attorneys provide an overview of the most important things that you need to know about limited liability partnerships. 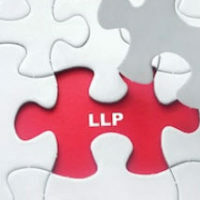 An LLP is a type of formal business partnership, entered into by two or more partners. An LLP offers the same basic tax structure and financial advantages of an ordinary partnership. Indeed, it is still a partnership for the purposes of the law. However, unlike a general partnership, an LLP offers each business partner some basic liability protection. If the partnership was sued, a partner’s personal assets could potentially be protected from that legal action. That being said, any assets held within the partnership would still be exposed and each individual party could still be held personally liable for their business debts. The key feature of LLPs compared to general partnerships is that they ensure that each partner cannot be held personally responsible for the actions of one of their business partners. For this reason, LLPs are commonly used by law firms, accounting firms, and medical practices. Both limited liability partnerships and limited liability companies offer business owners some much needed personal liability protection. This raises an important question: What are the actual differences between these two legal entities? First and foremost, LLCs offer greater liability protection than do LLPs. With an LLC, owners are protected against liability for business debts except in cases of fraud, deceit, or other misconduct. As was mentioned previously, LLPs only protect the owners against the business debts of their partners. With an LLP, any partner can still be held personally liable for their individual business debts. On the other hand, an LLP comes with some notable advantages over an LLC. For example, LLPs are far simpler to set up than are LLCs. While an LLC requires incorporation and the creation of a board of directors, and LLP can operate under a general partnership agreement. Ultimately, it is imperative that you select the proper legal form for your type of business. The type of structure you select — whether it is an LLC, an LLP, or any other corporate form — will have considerable long-term implications for the health and viability of your company. If you have questions about business formation, you should consult with an experienced Florida business lawyer as soon as possible. At Pike & Lustig, LLP, our Florida business law attorneys have the skills and experience to handle the full range of cases involving limited partnerships. If you are involved in any type of dispute with your business partners, we can help. Please do not hesitate to contact our legal team for a confidential consultation. We have offices in Miami and West Palm Beach, and our attorneys represent clients in partnership disputes throughout Southeastern Florida.